The 47th (Lancashire) Regiment of Foot was an infantry regiment of the British Army. First raised in 1741 in Scotland, the regiment saw service over a period of 140 years, before it was amalgamated with another regiment to become The Loyal North Lancashire Regiment in 1881. During its existence it served in North America during the Seven Years’ War and American War of Independence, fought during the Napoleonic and Crimean Wars and served as garrison troops in Ireland, Canada and Malta. The regiment was first raised in 1741 as Sir John Mordaunt’s Regiment of Foot in Scotland but it was later renumbered as the 47th. The regiment first saw war service, paradoxically, at home during the 1745 Jacobite Rising against rebels who had risen in support of Bonnie Prince Charlie who claimed the thrones of the Kingdom of Great Britain and Ireland. The regiment under Sir John Cope marched north into the Scottish Highlands but, as he thought the rebel force to be stronger than it really was, avoided engaging the Jacobites then sailed from Aberdeen down to Dunbar to meet the Jacobite forces to the east of Edinburgh at the Battle of Prestonpans which saw the Government forces routed by the Jacobites. The regiment subsequently took part in the defence of Edinburgh Castle which never capitulated to the Jacobite rebels during Bonnie Prince Charlie’s control of the city of Edinburgh. The Jacobite Rebellion was eventually crushed by Government forces in 1746 and Charles was forced to escape to France. 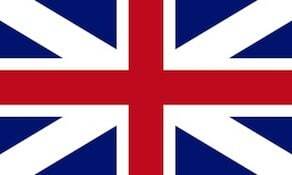 In 1750 the regiment deployed to Nova Scotia, Canada and the following year it was numbered the 47th Regiment of Foot. The regiment took part in the Seven Years’ War while in Canada, seeing action against the French-held Fortress Louisbourg during the 48-day Siege of Louisburg, a siege that culminated in a French surrender. The following year the 47th took part in the legendary Battle of Quebec which saw British forces, under the command of General James Wolfe, prevail again French forces in a battle that concluded a 3-month siege of Quebec. Wolfe was well respected by his men, to such an extent that to commemorate the death of Wolfe in the battle the 47th began wearing a black line in their lace and also gained the nickname “Wolfe’s Own”. In 1760 the 47th took part in the Battle of Sainte-Foy, a British defeat against the French during the British defence of Quebec though despite the defeat the British held onto it. In 1763 the regiment returned home from its long deployment in North America with the conclusion of Britain’s war with France. It arrived in North America in 1773 in New Jersey, a colony of the Great Britain and which would be one of the “Thirteen Colonies” that would soon revolt against British rule. In late 1774 the regiment was deployed to Boston and the following year the regiment saw action against rebels at Lexington and Concord and in the Battle of Bunker Hill which saw a British victory but at heavy cost-Gage’s reports that for Lexington/Concord that the 47th had 5 rank & file killed; 2 Officers/1 serjeant/21 rank & file wounded and at Bunker hill the 47th had 2 officers wounded/died+1 serjeant/15 rank and file killed; 5 officers/3 serjeants/47 rank and File wounded. In 1776 the regiment returned to Quebec to assist in its defence against American rebels. In 1777 the regiment was part of the disastrous expedition to Saratoga where it took part in a number of major engagements. Much of the 47th became internees after the surrender of British forces on 17 October. These men not return home from their enforced stay until 1783 and the conclusion of the American War of Independence. 2½ companies of the Regiment were not at the Battles of Saratoga as they had been left behind to guard the Army’s supply lines. On Sept 24, 1777, 2 companies of the 47th under command of Capt. Thomas Aubrey defeated a much larger colonial force at the Battle of Diamond Island. Following the defeat at Saratoga these 2½ companies withdrew to Canada. In 1779 the remaining men of the 47th were assigned to assist in construction of a new fort at Carleton Island. Later that year the men of the 47th were transferred to reinforce the British posts on the Great Lakes at Niagara, Detroit, and Mackinac. In the summer of 1780 volunteers from the 47th stationed at Detroit took part in Capt. Henry Bird’s expedition to Kentucky where they were involved in the capture and destruction of Martin’s and Ruddle’s Stations. In 1782 the Officers and NCOs returned home to England to recruit a ‘new’ 47th, while its remaining men were transferred into the 8th Regt of Foot. In 1782 the regiment was given a county distinction when it was given the title the 47th (The Lancashire) Regiment of Foot. In 1790 the regiment returned to the Western Hemisphere once again where it garrisoned a number of islands in the West Indies during the French Revolutionary War. In 1794 the 2nd Battalion was raised in Norfolk but was disbanded soon afterwards. In 1803 the 2nd Battalion was raised again and the following year deployed to Ireland. In 1806 the 1st Battalion arrived in the Cape of Good Hope to undertake garrison duties in the territory captured from the Dutch. That year an unsuccessful, and unauthorised, expedition to the French allies Spain against its South American possessions, led by Sir Home Riggs Popham, took place. The following year the 1st Battalion was part of the second-invasion force, led by Brigadier-General Sir Samuel Auchmuty, who was unaware of the failure of the first-invasion. The 1st Battalion took part in the siege and subsequent storming of Montevideo (now capital of Uruguay), which culminated in the capture of the city on 3 February. It also saw action in July during the mis-managed attempt to capture Buenos Aires (now capital of Argentina) from the Spanish. The attempt to capture the city failed and the British force was soon surrendered. The 1st Battalion eventually arrived in India in 1808 and the following year its flank companies took part in an expedition to the Persian Gulf against notorious Arab Pirates in their base of Ras-al-Khaima. Also that year the 2nd Battalion deployed to Gibraltar and in 1811 commenced its participation in the Peninsular War, a war which saw the UK, Portugal and Spain fighting the French. The regiment’s flank companies took part in the Battle of Barrosa and in December took part in the Battle of Tarifa where they helped repulse an assault by French forces to take the town of Tarifa. In 1812 the British were forced to withdraw back into Portugal though the following year British forces moved back into Spain to launch a concerted effort to remove the French from Spain. The 2nd Battalion in the British victory at the Battle of Vittoria as well as, on 31 August, the siege and subsequent storming of San Sebastian during which the 2nd Battalion, one of the battalions that led the assault, and the rest of the British and Allied forces sustained significant casualties in the attempt to storm the breaches in the walls of the town of San Sebastian. The French surrendered on 8 September after the town, which the French had fled too, was subjected to a sustained bombardment by artillery. The 2nd Battalion crossed the Bidasoa River, finally into France itself. The battalion took part in the Battle of Nive and ended its war while taking part in the siege of Bayonne, France in 1814 when the war with France finally concluded, with the UK victorious. The 2nd Battalion, having battled so determinedly in that bitter war, returned home and was disbanded at Portsmouth. In 1817 the 47th took part in the 3rd Mahratta War, the last war between the British and the Mahratta Empire, and which ensured that Britain was effectively in control of much of present-day India. In December 1819 the regiment was back in the Persian Gulf in a brief expedition that saw the Pirate base of Ras-al-Khaima captured. In 1824 the 47th took part in the First Burmese War. They were involved in a number of heavy fighting with the Burmese forces, and the regiment was awarded the Battle Honour “Ava”. The war cane to an end in 1826 and the 47th returned to India. The regiment finally returned home in 1829. In 1850 the regiment arrived in the Mediterranean where they were based in the Ionian Islands, then a British territory. In 1853 the regiment arrived in Malta and the following year was to take part in the Crimean War against Russia. The 47th landed with the rest of the British at the ominous sounding Calamity Bay. The British and their French allies then began the journey to the important Russian naval base of Sevastopol. On 30 September the regiment, as part of the 2nd Division, was involved in the Battle of Alma, a battle that was bloody, especially at the ‘Great Redoubt’, a Russian earthwork. On 5 November the regiment took part in the Inkerman. The numerically superior Russians had attempted to break the Siege of Sevastopol, besieged since 19 September, and attacked British and French forces on the heights of Mount Inkerman. The battle was brutal, chaotic hand-to-hand fighting prevalent during parts of the battle. The Russians were repelled but at a heavy price. Over 8,000 casualties were sustained by the British and the Russians over 11,000. The regiment was part of the force besieging Sevastopol, a long siege that lasted from September 1854 to September 1855 when it was captured by the British. The regiment returned to Malta in 1856 upon the war ending with the Treaty of Paris, and, eventually, came home. After the inception of the Victoria Cross (VC) in 1856 Private John McDermond was awarded the only VC of the regiment for his actions in saving a wounded Colonel during the Battle of Inkerman. In 1861 the regiment returned to Nova Scotia, Canada once more, this time to reinforce Canada’s defences during tense times with the USA as a consequence of the Trent Affair during the American Civil War. In 1866 during the so-called Fenian Raids by Irish-American ex-soldiers who invaded Canadian territory, the 47th assisted in the defence of Canadian territory against the Fenians. In 1868 the 47th arrived in Barbados in the West Indies and would return soon afterwards. The regiment remained based in the UK for the duration of the 1870s. In 1881 the regiment amalgamated with the 81st (Loyal Lincoln Volunteers) Regiment of Foot to form the 1st and 2nd Battalions of the Loyal North Lancashire Regiment as part of the Childers Reforms. The 47th’s lineage is maintained by the Duke of Lancaster’s Regiment (King’s, Lancashire and Border).